Paperbag Squad is a Grand Theft Auto V Machinima Movie inspired by Oceans 11, 12, and 13, The Italian Job, and The Town. After Maze Bank manager Terry is robbed overnight by an enemy known as Zack Camphore, he has our protagonist Walter assemble a crew of mercenaries to rob from the man who took Terry's money. 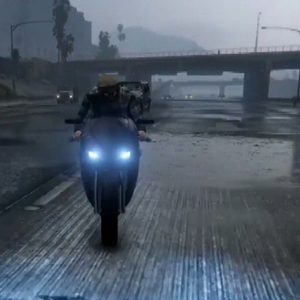 The film will be recorded in the game, "Grand Theft Auto 5". Body actors will be needed on Xbox One. If you also want to help body act, my gamertag is "MANATEEE456". The soundtrack I've collected can be found in the explainer video link. There is no payment for this. Hope to see some auditions. Walter is a chilled, yet excited guy. Have his voice be a mixture between George Clooney and Ryan Renolds. Both lines should be calm and relaxed. Like them or not, we're going to have to get used to them. That was a great chase you pulled back there. Marco is a more aggresive character that should have a texan accent. Yeah? What's your damn buisness, can't you see I'm in a bit of a hurry? I'm perfectly fine with mine. As of right now, this character has not been introduced in the script. More details soon. Zack should sound like Al Pachino in Oceans 13. 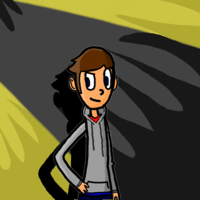 As of right now, the script does not have any lines for this character. More details will follow. I was trying to call you last night, Terry got robbed! You're not making any sense right now. I thought you said we're all robbing him in one night? Robbing is the ony way to get real money. They took six million Walter! (Angry) There's a difference between tried not to help, and did not try to help. You promised me that you wouldn't, you broke that promise Walter. I don't want my life to be at risk.